Hey everybody! 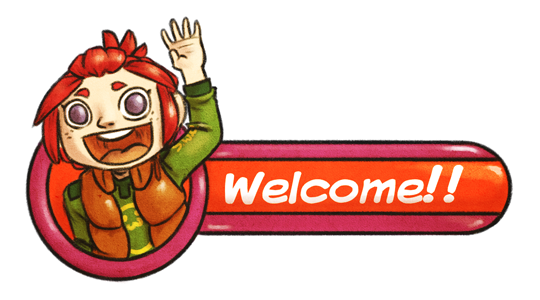 Welcome to the Patreon page for WorldBreakers, the epic fantasy webcomic hosted by LINE Webtoon! For starters, thanks for even checking this here page out, that's really kind of ya! Hopefully you enjoy WorldBreakers so dang much that you've found it in your hearts to help support us while we work on it for you! We absolutely love working on the comic, but unfortunately there's no income involved (at least, while we're waiting to break into the Featured section of Webtoon), which stinks because as it stands, we can't eat a webcomic! We'll be straight here; pretty soon Justin's living situation is changing up (he'll no longer be the live-in caretaker for his momma) and it'll be time for him to get back to working a real job. Doing the artwork is incredibly demanding and time-consuming, so it's going to be really rough finding the time to keep the comic moving when he's splitting time between it and a job. So, for every pledged monthly donation, that's less time he'd have to spend away from working on the comic! Telling this story is immensely important to us, so starting up this Patreon page seems like the right thing to do. Now that you know why we're asking for your help, let's talk about what you get out of this. For starters, WorldBreakers will be able to retain its weekly schedule! Then, once things have changed at home for me (and I'll keep everyone updated on this), if we can get enough monthly pledges going that I won't be splitting my time, I should theoretically be able to return to full color comics!! A staple I've noticed for other comic makers on Patreon is early access to each Episode, so that will definitely be happening, as well as daily/near-daily previews of the Episode! Also, each Patron will have advance access to upcoming merchandise (posters/prints, t-shirts, and more!)! In addition to the more general rewards, let's talk tiers. The basic pledge package includes the Early Access to comics and merchandise as it becomes available, and a special thank you message in the comic! Make sure everyone knows how awesome you are for helping us! Anyone who pledges $10 a month will receive a personalized portrait of any WorldBreakers character! Want a portrait of Tormir in a sheep-hat? Crash in a business suit? Baron Von Haussen strung upside above an alligator pit? Well now you can! Additionally you'll get a thank you message in the comic! Woahjeeze, thank you! An awesome contribution deserves an awesome reward-- so for pledging $25 or more a month, I'll mail you a one-of-a-kind, inked drawing of your favorite WorldBreakers! Not a print, but an actual pen-and-paper drawing, as well as a handwritten Thank You note! Also you'll get a thank you message in the comic! Top-tiered contributors will get both of the aforementioned rewards, a free print from those available (Coming Soon!) and a date with Phil! * On top of that, top-tiered contributors will have a chance to appear in WorldBreakers! Who will you be in WorldBreakers? One of the Forest-Dwellers? A Guardian of Telvia? One of the mysterious Dwarves? On top of all that cool stuff, you'll get a thank you message in the comic! As this continues, and based on your feedback, more rewards are sure to become available-- all of which will be awarded to contributors even after their initial pledge rewards are fulfilled! Justin is the artist-half of the creative team that makes WorldBreakers. When he isn't cranking out the comic-jams, he can be found taking care of his mother, playing with his (very dumb) cat, or getting romantic with his long-time partner and girlfriend, Chrissy. He's very fond of comics, quesadillas, movies, and binge-watching television series. His favorite WorldBreakers character has yet to be revealed in the comic. Phil is the smart boy who conned his friend Justin into doing all the art for WorldBreakers, aka the hard part. When he's not juggling characters and storylines he likes to explore the ocean's depths, fight drug cartel members on top of moving trains, compete in Space Quidditch and lie on the internet. His writing on WorldBreakers is fueled by his love of shonen manga and JRPGs. His co-favorite movies are Labyrinth, Tron: Legacy and Scott Pilgrim vs. The World, and his theme song is Candy Candy by Kyary Pamyu Pamyu. *Note-- Phil hasn't agreed to this. But I wouldn't rule it out completely... Okay yeah rule it out completely. Early Access to comics and merchandise as it becomes available, 5% off of merchandise purchases, and a special thank you message in the comic! Make sure everyone knows how awesome you are for helping us! Receive a personalized portrait/cover image of any WorldBreakers character! Want a portrait of Tormir in a sheep-hat? Crash in a business suit? Baron Von Haussen strung upside above an alligator pit? Well now you can! Additionally you'll get a special thank you message in the comic! An awesome contribution deserves an awesome reward-- so for pledging $25 or more a month, I'll mail you a one-of-a-kind, inked drawing of your favorite WorldBreakers! Not a print, but an actual pen-and-paper drawing, as well as a handwritten Thank You note! Also you'll get a thank you message in the comic! Free print from those available (Coming Soon!) and a date with Phil! * On top of that, top-tiered contributors will have a chance to appear in WorldBreakers! Who will you be in WorldBreakers? One of the Forest-Dwellers? A Guardian of Telvia? One of the mysterious Dwarves? On top of all that cool stuff, a big fat special thank you message in the comic! This stretch-goal is roughly where we'd need to be for Justin to have enough extra time away from work** to give this comic the full-color touch it deserves!